Everything Toronto rapper and R&B artist Drake does is a social-media firestorm. The rollout for last year’s Views and its single “Hotline Bling” was massive, though critics’ response to the project was often tepid. 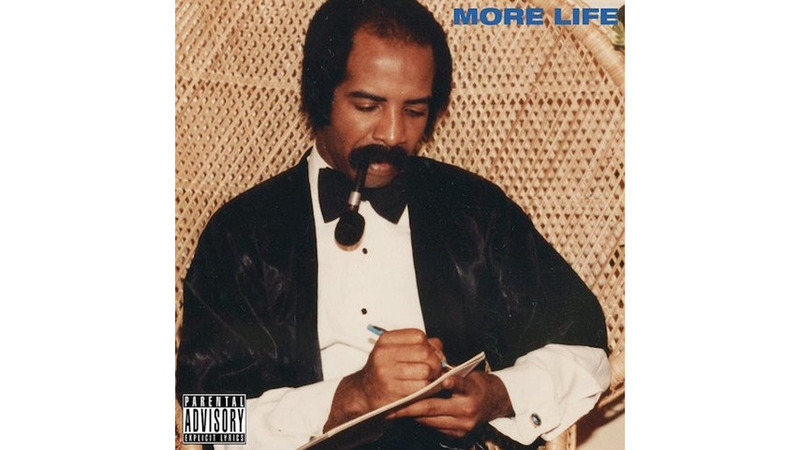 With Drake’s new playlist, the sprawling and rich More Life, people are scratching their heads again. Is it an album? A mixtape? A Spotify playlist of his favorite songs? With Thursday’s news that More Life could soon make its way to the standard CD format, maybe his intention all along was to first gauge interest on streaming formats before hitting the traditional route. The term “playlist” could also give the false impression that you can simply bounce around on More Life, find your favorites and ditch the rest. 22 songs is a challenge — too many tracks can easily jump the rails, leading to an uneven and tiring project. But, as the first three songs bear out, More Life doesn’t lose too much momentum even as it stumbles along its path. Drake wisely uses the opener, “Free Smoke,” to assert his standing atop the rap game. But ever the gentleman, he holds the door open for Naomi “Nai Palm” Saalfield of Australian neo soul group Haitus Kaiyote, to sing first, though her vocals are sped up. By the second song, the heated banger “No Long Talk,” UK grime artist Giggs, one of the hottest rappers on this mix, has already stolen Drake’s initial thunder. The smooth disco chill of “Passionfruit” serves as a third-song chaser, as Drake tries to keep a long-term relationship from capsizing (“Passionate from miles away/passive with the things you say”). Drake’s consistent use of global beats and international artists carry the bulk of the weight throughout More Life. Elements of grime and British street culture, along with trap, Caribbean dancehall and Afrobeat give a warmth and freshness that keeps the mood brisk. Drake employs his buddies 2 Chainz, Kanye West, Young Thug, Sampha and Travis Scott to lend lines, along with lesser known artists like Jorja Smith and DJ Black Coffee. Drake gives generous airtime to his supporters, stepping back when it’s called for and taking the reins when he should. Sections of weak spots do appear. Some lines on “Portland,” with Quavo and Scott, are just meh. Quavo saying, “Michael Phelps with the swim moves/ Michael Jordan with the tennis shoes” isn’t awe-inspiring. But “Portland” is lucky in that it can lean on “Sacrifices,” with Atlanta rappers 2 Chainz and Young Thug, and the song’s elegant, understated piano line. Usual showstopper Kanye on “Glow” is a bit of a disappointment. He’s still talking about his early, no-respect days. Nothing really wrong with that, but he seems stagnant here. Buoyed by the calming advice from his mom on “Can’t Have Everything,” where she says “I’m confident in you, and I know you can reach your desired destination,” Drake seems to come to terms with the fact he may not dominate the rap world, but he can still find fun in the journey.